Speedin’ Bullet 2 Heaven is one of the most polarizing albums of the year. It’s a radical departure from almost everything Kid Cudi has ever released (with the partial exception of his 2012 rock project, WZRD) and sounds more like a ’90s-era grunge/alt-rock album than anything that could possibly resemble modern day hip-hop. This is Kid Cudi at his most unapologetically experimental—something he even made sure to warn fans about ahead of time. Still, reading “experimental” on Twitter is quite different than actually hearing it. Speedin’ Bullet 2 Heaven is raw, grating, and (at times) unpleasant to listen to. But it might also be our deepest look yet into the dark mind of Scott Mescudi. This sense of unease comes from an artistic place; Kid Cudi dedicated the album to anyone suffering from a mental illness. He’s always been upfront about his personal issues in his raps, but here we see them spelled out in alarming sonic clarity. 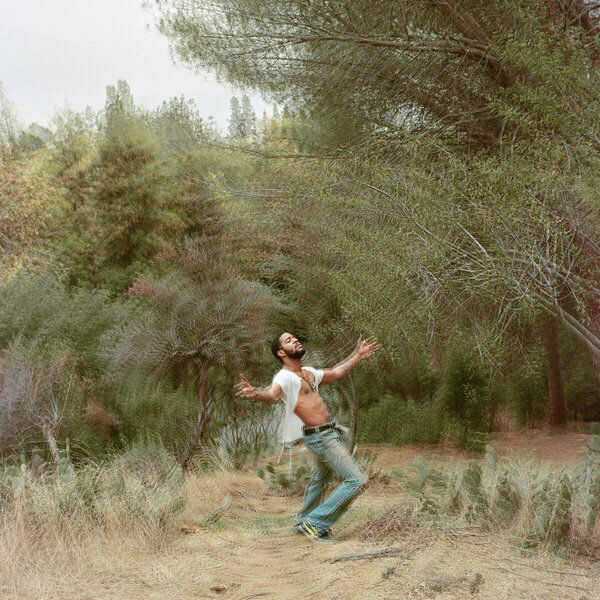 In fact, much of Speedin’ Bullet 2 Heaven feels like Cudi forcefully exorcizing the demons from his head. The resulting music can be gritty, but it’s also deeply revealing about his struggles with depression, anger, and suicidal thoughts. Many songs lack a traditional structure and end up feeling more like unfiltered bursts of emotion, with lo-fi guitars and wailing lead vocals carrying hints of 1990s rock, especially Nirvana (he even shouts Kurt Cobain out on the album). Whether you dig the genre change or not, it&apos;s impossible to ignore some obvious issues with the instrumentation. Cudi’s sometimes clumsy guitar playing is only worsened by the muddled recording and production work, most of which he did himself. But while they aren’t always technical masterpieces, some of the punchier rock tracks actually work. “Fairy Tale Remains” and “Screwed” are two good examples of his new sound’s success, layering Cudi’s spaced-out crooning over carefully plucked guitar chords. The album has some genuinely bizarre moments (he actually says the phrase “No more chicken sandwiches/Yes, I&apos;ll pay for the damages,” on “Adventures”), but after a few listens, a lot of the initially unsettling parts start to come into focus. While much of this is new territory for Mr. Mescudi, a few songs harken back to the sound of classic Cudi downer-anthems like “All Along” and “Mr. Rager.” Tracks like “Speedin’ Bullet to Heaven” and “Insides Out” find that sweet spot of sad resignation and weary hope for the future, and they end up being some of the album’s most touching moments. His greatest achievement overall is “Embers,” which closes out the main part of the project with a fever-dream of quiet existentialism. “Hold my hand in heaven/Count the heartbeats, count the seconds/I really don’t want to leave,” he sings. If anything, he should have ended things there; the second side mostly contains throwaway demos and rehearsal tracks. With a runtime north of 90 minutes, a little track whittling could have really helped to streamline his ideas into something easier to wrap your head around. He does, however, tie things up nicely with the syrupy Auto-Tune of “MELTING.” It’s these quieter moments, where the listener is left to reflect on the album’s emotionally fraught journey, that are most effective. Speedin’ Bullet 2 Heaven is ultimately messy, challenging, and rough around the edges (perhaps more so than anything Scott has ever released), but there’s also something about it that’s admirably unique. It might not be the alternative crossover brilliance that Cudi seems to think, but it&apos;s also not the noisy, pointless garbage that the hip-hop Twitter mafia would have you believe. If this album proves one thing, it&apos;s that Kid Cudi will always insist on making music the way he wants to; we’re simply along for the long, strange trip.